Victus – Fulvic Acid is the purest form of soluble fulvic acid available. 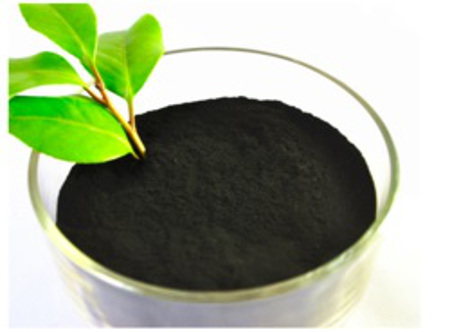 The product is 97% soluble with a fulvic acid % of between 85% -95%. The powder is ideally suited for addition with granular fertiliser, but it its rapid solubility of the powder facilitate a successful fusion with soluble fertilisers. Fulvic acid is ideal for use with fertilisers with low pH such as MAP. Fulvic Acid has proven to consistently improve the uptake of nutrients such as nitrogen, phosphorus, and iron, as well as innumerable trace elements essential for plant health. The Victus low ash fulvic acid also prevents the leaching of Nitogen up to 90% in leaching tests done and stimulated microbial growth. • Powerful electrolyte, which can balance and energise all cells. • Capable of dissolving trace elements. Improve the plant availability of rock minerals, rock phosphate and lime. • Fulvic Acid is a potent, natural chelating agent, converting metallic elements into readily absorbable, bio-available nutrition, and a very low molecular size enables fulvic chelated minerals rapid entry through plant walls. CEC of 1400. • Fulvic acid increases the permeability of plant membranes, improves uptake of nutrients. • Improves soil structure leading to better water and oxygen retention. Better root development.